Hello you! Having sufficient blog post ideas is the key to keeping your editorial calendar full 52 weeks of the year. Life can be busy so finding content to market every single week can be a struggle. Ever wished that you can generate content ideas for 52 weeks of the year in the shortest possible time, like 1 week? Well, now you can with what I am about to share with you. Coming up with ideas for quality content does not need to be difficult and it all depends on your approach to such a task. One clever way to get great results is by finding out what your audience is looking for from you. Whether you are new to blogging or a seasoned blogger you know that getting feedback from your audience on your blog can be challenging. It will require you to either form a community, like a Facebook group or sending an email to your list. If you don’t have a list or a group then it can be worrisome. Let’s look at some ways of how you can find out what your audience wants for your blog post ideas. In a recent post, I wrote about Pinterest SEO tips and I covered keyword research as well. 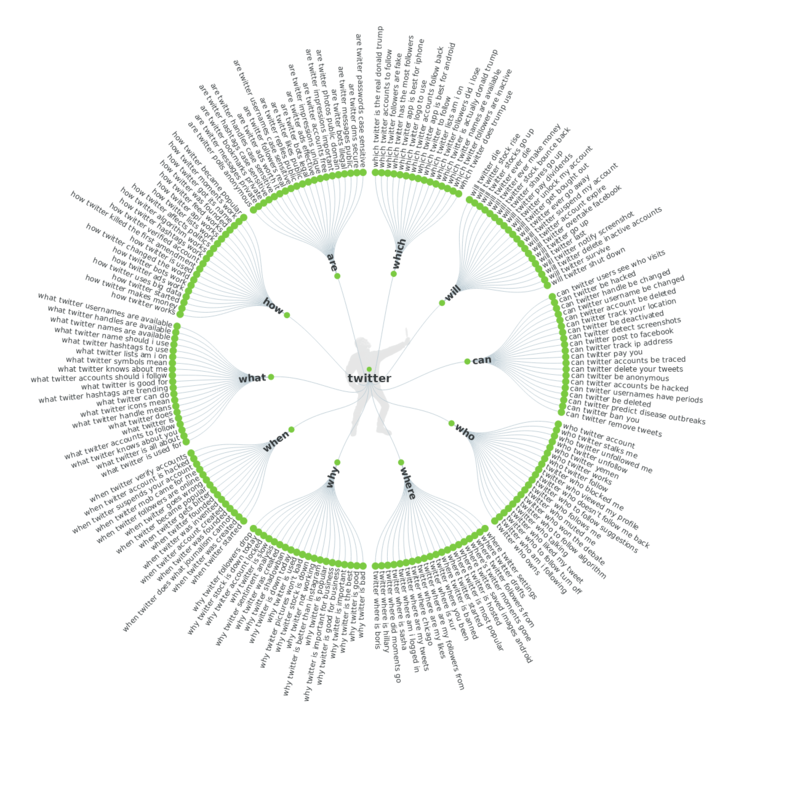 Keyword research is a great way to find out what keyword phrases your audience is using to find you. 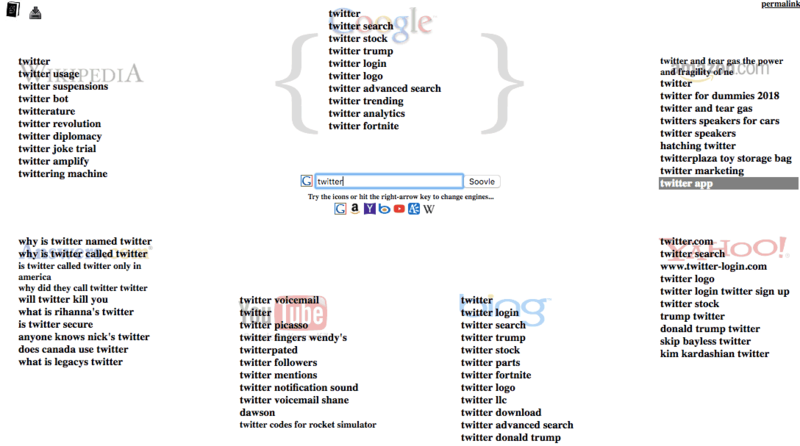 I am going to give you 3 exceptional tools that you can use to find the exact questions people are typing in by topic. Your audience will be asking many questions about one topic which is expected. However, I will show you how to find many possible questions and their variations which will be an eye-opener for you as a blogger, giving you exceptional blog post ideas. Before we look at those questions let me first offer a word of caution. As a blogger, entrepreneur or a business, you need to be very clear on what the goals are for your blog. It is okay to pivot after seeing the questions but you should at least ideally have a value ladder set up for your site. You should know the purpose of each blog post. As part of your editorial calendar, you should have goals that you plan to achieve for each month. These goals are broken down into buckets that lead to blog post titles. Each blog post is then created to drive traffic to achieve your goals for that specific month. Let me give you a visual example of what I mean. As you can see in the example above I decide that the goal for my blog in January is to sell an e-book about Facebook. My blog posts for the month of January should be focused on promoting that e-book. In February I can decide that the goal for that month is selling an e-course on Twitter. So all my blog posts for the month of February should be promoting my Twitter course. One of my favourite tools for blog post ideas that I came across recently is Answer the Public. What you need to do is enter your core keyword and then the site will generate questions. It not only generates questions but it also gives you, prepositions, comparisons, alphabetical as well as related words and phrases. Depending on your search as well as your broadband connection it could take time to load the results. It is worth waiting for the results because I personally consider the suggestions very valuable. The questions are objective as opposed to being subjective. 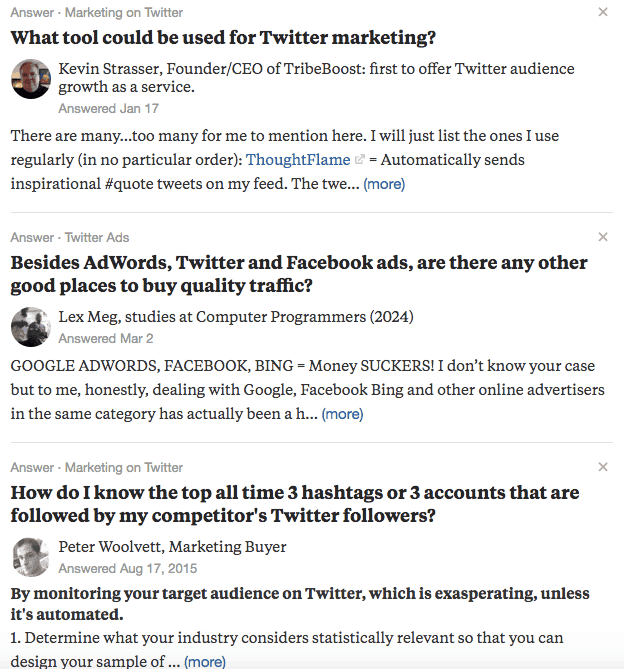 In the screenshot above you can see 190 questions that I received based on the base keyword – Twitter. Do you think 190 questions would be sufficient to help you with blog post ideas? One of the best places to find questions is on Facebook itself. You would first need to be part of groups where your audience hang-out then do a search within the group. Of course, if you are writing a blog about travel, you can join a group on this specific topic and do a search within the group. If however, your blog is helping women entrepreneurs then you should really search the group where they network. Here is a group of women entrepreneurs discussing Twitter and asking questions. As you can see Facebook can be a goldmine for finding questions from your potential clients. Although, this post is about blog post ideas I also wanted to take a look at questions that can be found on product related websites like Amazon. A key tool for assisting with this kind of search is one called Soovle. What it does is look at your focus keyword across ‘shopping’ sites to give you a flavour of what your audience wants. It does not necessarily display questions but it does give you a small peep into what people are willing to buy when it comes to your niche topic. 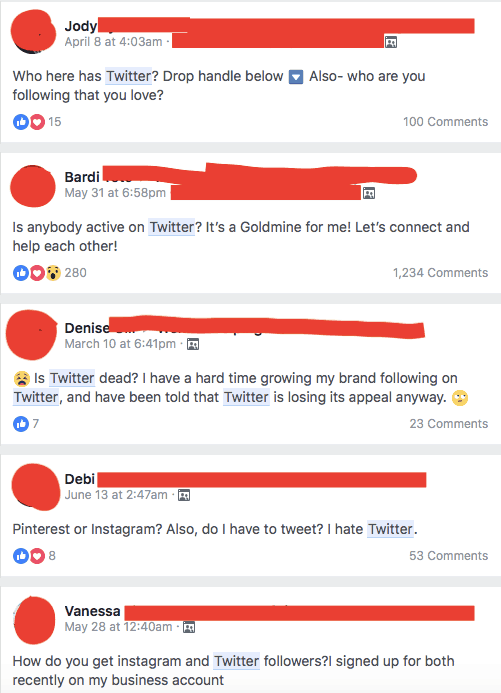 As you can see from the screenshot ‘Twitter for Dummies’ can give you a good indication of what an audience interested in Twiter would be willing to purchase. You should probably take the next tool with a pinch of salt because some marketers argue that it is difficult to ascertain if the questions being asked on this platform are genuine. I still decided to mention it here simply because it is a great tool to gather a list of possible questions on your focused subject matter. You also get a chance to see who are the top influencer in each niche or topic which gives you an insight into who the movers and shakers are as you can find them and their followers on other platforms. So as you can see this does give you a good few blog post ideas that you can use for your editorial calendar. You are probably already aware of this but if not this is super important. All blog post types are not created equal by types I mean the structure in which it is written. Here is a list of the top 5 blog post types that pro bloggers users to skyrocket their traffic and engagement. Let’s take a look at each one in-turn and find out what about their structure is so important and why they generate traffic and engagement. As the name suggests a report post gives you an insight into the results that have been received in conjunction with carrying out a specific task or using a tool or software. Some examples of this kind of post could be an income report, blog traffic report, lead generation report, product launch report, etc. You can outline the steps that you took to achieve a specific result, the result should ideally be quantifiable or has a specified value. You can then outline what actions you took and show how things progressed over the time period outlined. If this is part of your core offering you don’t need to tell your reader everything. Just give them a high-level overview like a carrot on a stick and give them the option to learn every detail via a paid course or e-book. Hopefully, this gives you an insight into how easy it can be to create a blog in a report post format. This type of blog post is great if you want to summarise everything that you covered on a specific topic in the last 6 months. If for example, you wrote several blog post about Twitter, LinkedIn and Facebook over a long period of time you can do a round-up post about the top 10 social media marketing strategies for businesses. This blog post type is invaluable because it gives you the opportunity to resurface your old blog posts driving fresh traffic to them. It also gives your reader the opportunity to easily find all your blog posts on social media marketing in a single location. One key element is that it also helps with on-site SEO because you send valuable links back to these posts signalling to the search engines that these posts are about the relevant keywords. As a result, you can get higher rankings and good SEO juice. This may not be as obvious to some but a large majority of searches in Pinterest and the search engines are done by people who have a problem that needs a solution. If you know that you have a solution to a problem that your audience is looking to solve then your blog will be in a good position to get traffic and engagement. Of course, all your blog post ideas should incorporate either one of these reasons in order to be of value to the reader. Always remember WIIFM – what’s in it for me? A great example of this kind of post is the one I wrote about how to become an entrepreneur. Another one covers 9 secrets of digital nomading success. If the reader will not find it valuable then there is no reason to write the blog post in the first instance. Remember to dwell on the problem for as long as possible before offering a solution. If you are not sure what problem you can solve remember that clever tool called Answer The Public? Use it as a way to find out the pain your audience is trying to address. Of all the blog post ideas ever used this should be one of the basic ones you have included in your hat of tricks. What resources do you use every day to get your tasks done? If you tell me that you don’t use any resources at all I will not believe you. Your list doesn’t need to be full of the most amazing tools on the market. It needs to be useful to the reader and bring value to their life. The idea is that you include tools, software, hardware or shortcuts. Helping your audience to get stuff done faster, better, cheaper or giving the user a better experience. I created two such posts which are the 9 awesome productivity tools and everyone has the opportunity to benefits from these inspiring time management tips. Your resource list can be a clever way to generate consistent passive income for your blog. It is the place where you add your affiliate links. In other words, you actually get paid over and over again for generating a great resource list. Depending on your focus you can have several resource lists as opposed to just one. A clever idea is to break your resource list into sections with headings. It can be as long as you need it to be, no need to have an affiliate link to every single resource. I would consider this as one of the epic blog post ideas ever hatched. The final item to add to your blog post ideas arsenal is a gift guide. At first, I thought that it would not be relevant to me since my focus is on women entrepreneurs. However, I saw the light at the end of the tunnel. No matter what niche you are in you can come up with a gift guide for your audience. Let me pause here for a second to let that sink in for a bit. Your audience is made up of people and those people have several reasons to celebrate every year. People buy gifts for themselves as well as other people in their lives. Take the opportunity to give them a reason to buy the gifts you suggest. It is a great way for you to take advantage of all the holiday sales as well as all those special occasions. You can be right there with everyone else for New Years, Valentines Day, Easter, Back to School and Christmas. 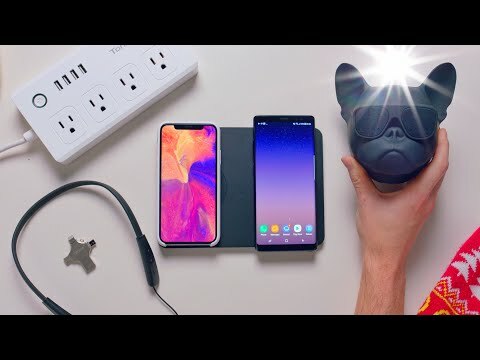 The BEST Tech Under $50 – Holiday Gift Guide! Birthdays, Mothers Day, Fathers Day and Anniversaries can also be included. It does require a bit of thinking outside the box (gift box) but the fact is it can be done. That was a big list of over 2,000 words which can be dizzying for anyone. Here is a quick recap of what is covered to help your brain absorb the information. I hope you found this valuable and that you can use it to increase your blog traffic and engagement. You can even use it to grow your business. 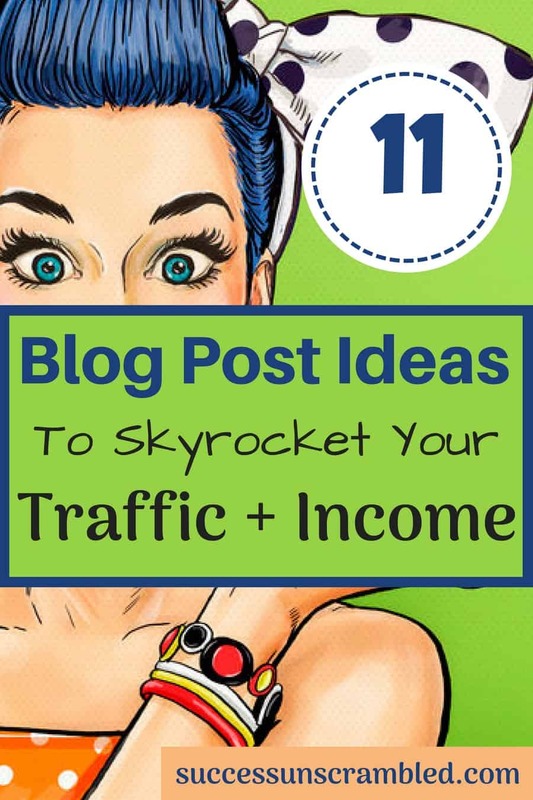 Which blog post ideas have you found are useful to skyrocket your blog traffic? 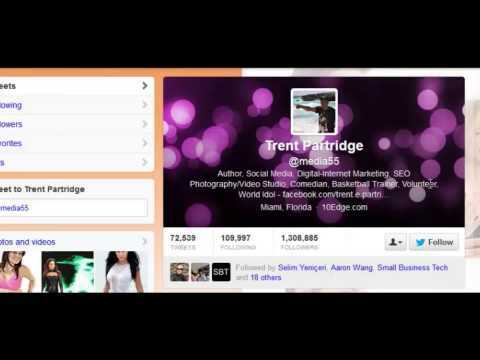 It covers blogging for beginners, showing you how to become a blogger. It also offers blog niche ideas with 20+ HD videos and over the shoulder tutorials.